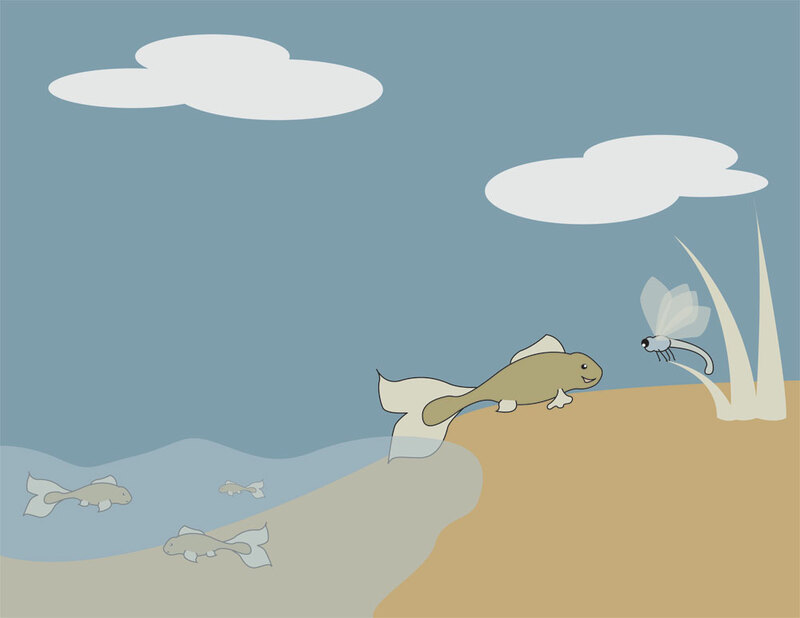 Illustration of the first fish to crawl on to dry land. This weeks theme for Illustration Friday is Beginner so I decided to go with an evolution theme depicting the first fish to come on land. Those prehistoric dragonflies were big.